Our Icefield Adventure Base is located deep in the mountains on Highway 11 (David Thompson Highway), 1 hour 15 minutes from the Columbia Icefield, and offers a rustic, raw view of the mountains and the spectacular Abraham Lake. If you are driving from Jasper, the heliport is approximately 2.5 hours South. If you are driving from Lake Louise, the heliport is approximately 1.5 hours North. 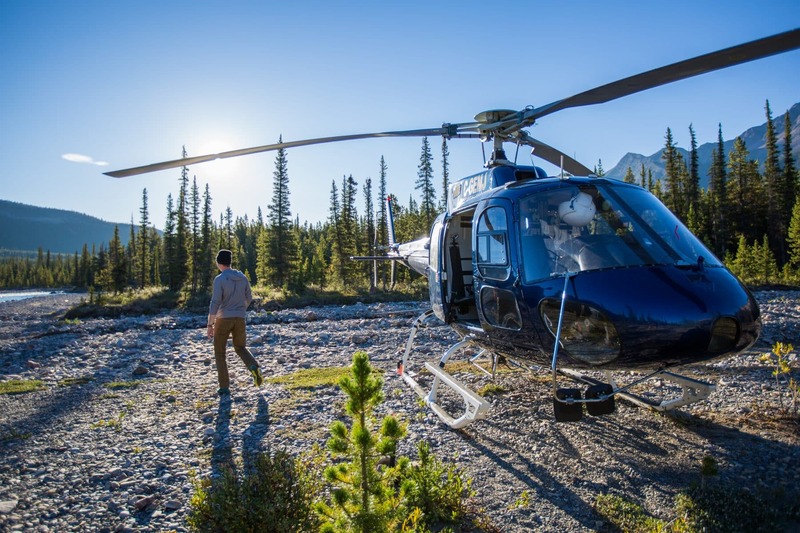 Our Icefield Adventure Base heliport is located near the Cline River, deep into the Canadian Rocky Mountains, prime for backcountry adventure and exclusive glacier and waterfall viewing. Come visit us soon!